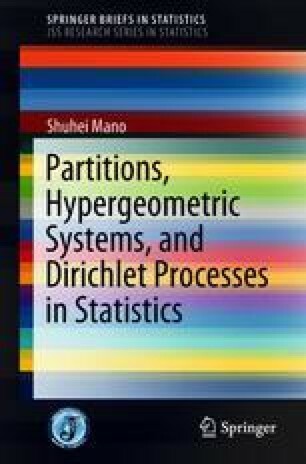 After brief introduction of the multiplicative measure, defined as a family of measures on integer partitions, which include typical combinatorial structures, this chapter introduces the exponential structure, which plays important roles in statistical inference. It then introduces the Gibbs partition, a generalization of the exponential structure. The generalization is achieved by systematic use of partial Bell polynomials. Gibbs partitions characterize prior processes in Bayesian nonparametrics, and appear as statistical models of diversity in count data. The Ewens sampling formula and the Pitman partition are well-known examples of Gibbs partitions. Finally, this section discusses the asymptotic behaviors of extremes of the sizes of parts in Gibbs partitions. Some of the results are derived by simple analytic approaches.